In keeping with this blog’s name, I’ll be writing a weekly post about a poem, poet, poetic technique or book with some connection to dance — or that can be read from a dancer’s perspective. 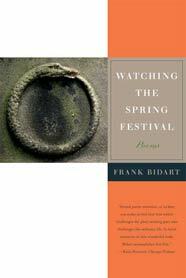 I was going through an old journal, searching for fragments to mine for an ongoing project, when I found notes on Frank Bidart’s Watching the Spring Festival (2008). Based on my scribbles, it seems I wasn’t especially moved by this book of lyric poetry, with its flat-sounding meditations on mortality. I much preferred the tonal variety and page-as-stage explorations of Bidart’s dramatic monologues and longer poems in other books. One of these days I’ll reread and write about his 30-page “The War of Vaslav Nijinsky” — maybe in November, when the National Ballet remounts John Neumeier’s Nijinsky. There was one poem in Watching the Spring Festival that stood out to me: “Ulanova at Forty-Six At Last Dances Before a Camera Giselle.” In it, a persona watches a grainy clip of the famous Bolshoi ballerina Galina Ulanova, who finally allowed herself to be filmed dancing Giselle while on tour in London in 1956. She was 46 years old.